Marjorie A. Hammond, 75, of Rensselaer Falls, died on August 5, 2016. The funeral service will be at the funeral home, August 10th, 2 PM, Reverend Thomas Nichols officiating, burial to follow in Hillcrest Cemetery. She is survived by her husband Curtis “Ralph”, sons, Steven and his wife Lisa Hammond of Rensselaer Falls, Scott Hammond of Rensselaer Falls, daughters, Stephanie Beebe of Potsdam, Shelly and her husband James Sanderson of Canton, sisters, Mary and her husband Tom DeRosia of Cicero, Nancy and her husband Hubert Schofell of Oriskany Falls, Phyllis Reed of Hermon, 9 grandchildren, Michael and his wife Kira Hammond, Kendra Hammond, Jennifer and her husband Greg Thompson, Mark Beebe, Sarah and her husband Matt Meagher, Audrey Hammond, Christian Hammond, Bridette Sanderson, Rachel Sandersons, 7 great grandchildren, several nieces and nephews. She was predeceased by siblings, Carlton Allen, Debbie Downing, and Marion Perkins. Marjorie was born on April 3, 1941 in the Town of Antwerp, the daughter of the late Carlton and Phyllis Canfield Allen. She attended Hermon DeKalb Central School. On August 18, 1956 she married Curtis R. Hammond at the Russell United Methodist Church. Marjorie was a great homemaker and loved spending time with her family, knitting, sewing, quilt making, reading and traveling. In lieu of flowers contributions can be made to the Rensselaer Falls Volunteer Fire Department or Rescue Squad, P.O. Box 186, Rensselaer Falls, New York 13680. Shirley A. Jones, 72, of DeKalb Junction, died on August 5, 2016. Calling hours will be at the funeral home, Monday, August 8th, 2 -4 and 7 – 9 PM. The funeral service will be at the DeKalb Junction United Methodist Church, Tuesday, August 9th, 11 am, Pastor Martha Helmer officiating, burial to follow in Hermon Cemetery. She is survived by her husband Lawrence Jones, sons, Kevin and his wife Georgette Brown of DeKalb Junction, Danny Brown of Harrisville, David and his wife Barbara Brown Jr. of Richville, daughters, Debbie Weller of Richville, Lisa Brown of DeKalb Junction, stepson, Frederick “Rick” Jones of Oswego, brothers, Carl and his wife Isabelle Matice of Canton, Ivan and his wife Sharon Matice of Gouverneur, sisters, Rose and her husband Donald Fifield of Hermon, Christine Reynolds of Okeechobee, FL, 17 grandchildren, 34 great grandchildren, several nieces and nephews. She was predeceased by her daughter, Karen Carr, siblings, Arnold Aldridge Sr., Allen Aldridge,Webb “Butch” Matice, Alvin Matice, Norma Dusharm, Susan Dashnaw, granddaughter, Amy Carr, great grandson Edward Delorme. Shirley was born on July 28, 1944 in Gouverneur, the daughter of the late Arnold and Fern Fields Aldridge. A marriage to David Brown Sr. ended in divorce, she married Lawrence “Larry” Jones on Mary 27, 2000 at the DeKalb Junction United Methodist Church. 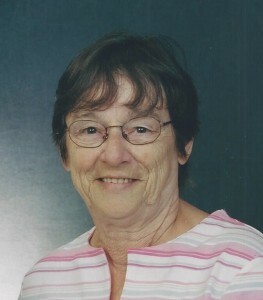 Shirley was a custodian at Hermon DeKalb Central School for 24 years. 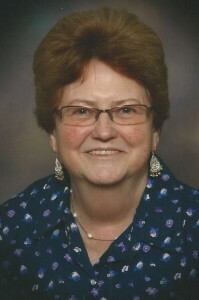 She was a member of the DeKalb Junction United Methodist Church and loved spending time with her family, her camp at Lake Bonaparte, fishing and shopping. In lieu of flowers contributions can be made to the DeKalb Junction United Methodist Church, 4302 US Highway 11, DeKalb Junction, New York 13630,the American Heart Association or the Leukemia Society.